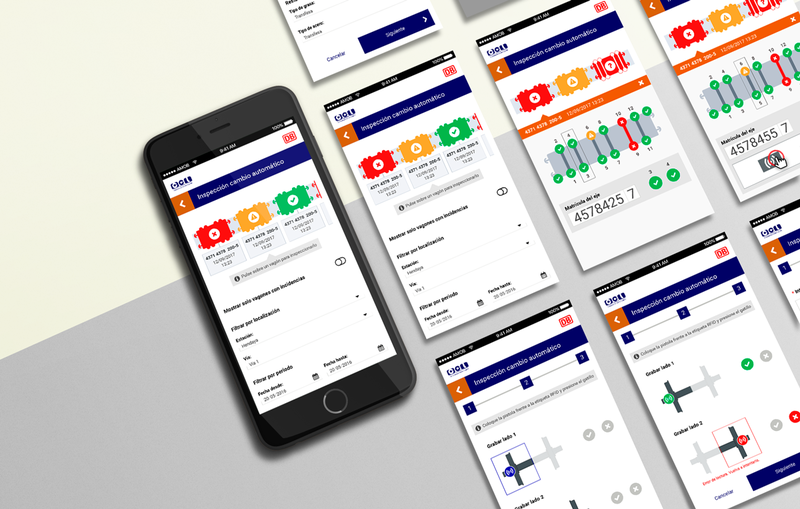 The functionalities I designed for Anubis Mobile is an application to manually record the changing of train axles. This process takes place in two stations in the frontier between Spain and France. With the application you can register different manual interventions, mainly in case the automatic process didn't worked. It complements the web application Freighture Manager. Mockups of the wagon tracking process. Mockups of the correction process for wrong read axles.